If you need the Audio Bible, then of course we choose Bible.is. Then you need to endure the fact that the program is loaded for a long time. And of course you always need access to the Internet. 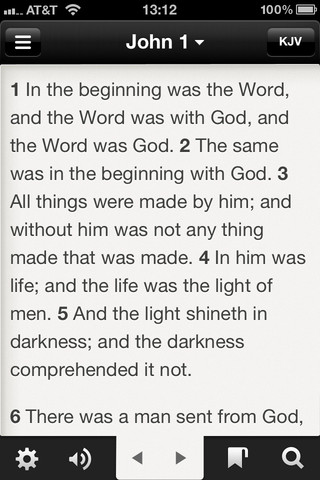 If you need the most beautiful Bible, and in addition social - YouVersion. You can write your comments and through the Internet they can become open for discussion in your group or for open discussion. The software has a Russian interface, but there are not many Russian users, so the discussion will be complicated. Well, for sociality you need internet. By the way, you need internet too. 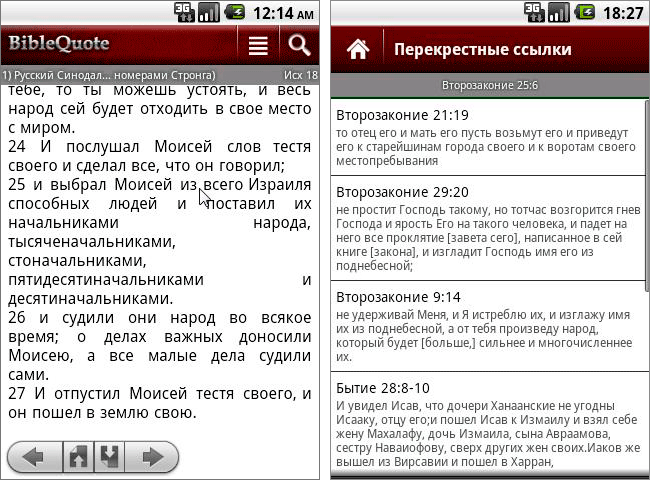 If you need speed, convenience, more Bible translations without the need for Internet (most offer 1 or 2 versions of the Russian Bible), then InterBiblia (BibleQuote) and MyBible will work for you. 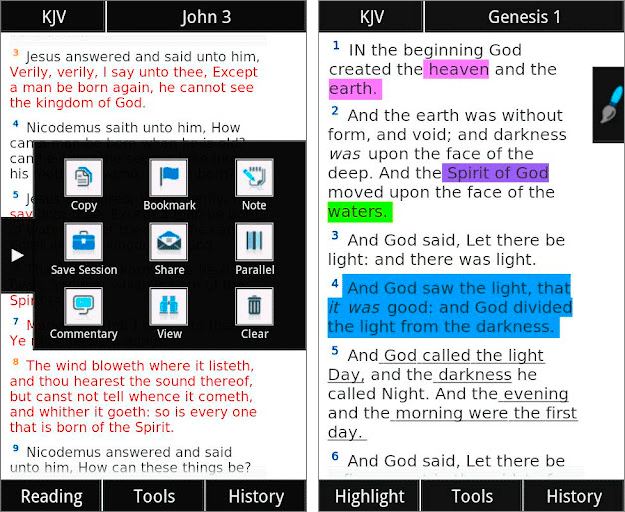 InterBiblia creates a folder and you can add modules from "BibleQuote 6.0". Internet is not needed, the program is completely autonomous, including search. We throw versions of the Bible (or books) as much as we want, and we can create modules and throw them ourselves. Agree, if there is no version of the Bible that you need, how good the program would be, it is useless. In addition, the program does not slow down and develops. MyBible - incredibly convenient and flexible navigation (below details), Strong numbers, up to 3 windows for separate viewing or parallel Viewing Bible translations, the possibility of creating records during church meetings, the Bible opens up in books, not chapters, bookmarks with captions and color categories, remembers the last visited places in each book of the Bible. I used YourVersion, then moved to CadreBible, when I installed InterBiblia, I eventually refused the others. When MyBible appeared, it began to actively use it, and InterBiblia remains an auxiliary with the necessary base of Bible translations. If you are an interpreter, you know that when you need to open a certain place in the Bible, you need a 3rd hand or somewhere to put the microphone. 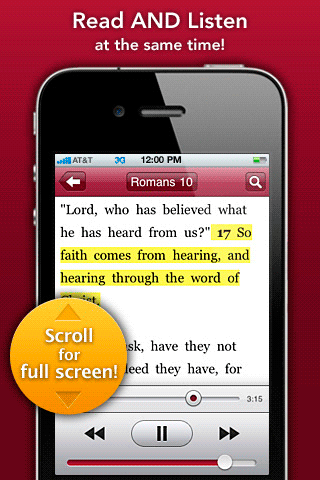 Mobile Bible can be flipped with one hand, which is more convenient. In addition, there is a story, so do not worry that you do not have the opportunity to outline. All places visited will be in history. Another specificity of translators is the difference in the numbering of some books and chapters of the Bible. I made a special module for InterBiblia (BibleQuote) (download). You simply open books on English numbering, and in brackets before each verse is the Russian numbering, which we inform the audience. MyBible in this plan is generally flexible, you can set it to Russian or English numbering or leave it in the original. In short, the ideal solution for an interpreter. In addition, you can open 2 windows and see a parallel place in English, so it will be clearer the connection between the sermon and the Russian version of the Bible.